Well known and superbly appointed, 'Dancing Queen' represents an exceptional opportunity to purchase the hugely popular Princess 85 Yacht. 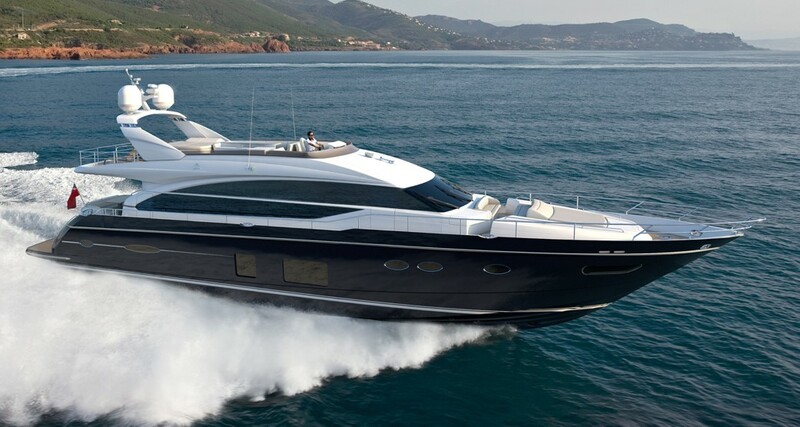 Extensively specified and offering all the features of even larger motor yachts, Dancing Queen will appeal to both Australian and International buyers alike. Having been professionally maintained and recently services and anti fouled, she is ready for delivery to her next lucky owner. Dancing Queen features 4 luxurious cabins with en suites providing hotel-like accommodation for 8 guests. The main deck has a spacious cockpit with dining, bar and third station controls. Inside in the salon there is a large lounge and separate dining area. For the benefit of guests and crew, the kitchen and helm are separated forward. This level also features a foredeck lounge area giving guests another place to spend there time in the sun. Accessible via the internal or external staircase, the flybridge has dining for all guests, lounge areas and a jacuzzi. There is also a full retreated helm station, tender crane and space for additional sun lounger or water toys. Also featured on this motor yacht is spacious crew quarters with access from the main deck bulwarks or from the swim platform. They feature a separate dining area bathroom and accommodation. WORKS and IMPROVEMENTS IN LAST TWELVE MONTHS Hull repaint, new exterior upholstery to cockpit and flybridge, new teak to swin platform, new tender and jet ski, extensive servicing and maintenance to boat mechanical equipment and systems, cockpit and flybirdge table varnished. Please note the boat excludes the owners personal effects.